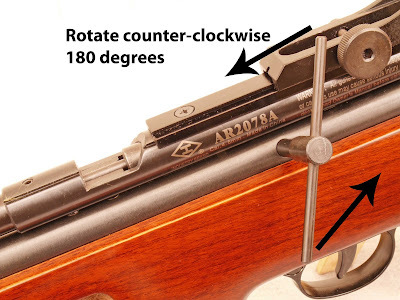 Archer on Airguns: How Do I Use The De-Gassing Key on My AR2078A Air Rifle? Thanks. I wasn't sure how to do this before but your method works fine with my 2078. Do you need to do this operation in reverse in order to close the valve? Yuri, Yes, just rotate the key back the other way and remove it from the keyhole.